Home Tags Posts tagged with "harry potter play"
The artwork for the upcoming play Harry Potter and the Cursed Child has been released. Published on J.K. Rowling’s Harry Potter website Pottermore, the images show a young boy in a nest with wings. The play, split over two parts, is designed to be seen either on the same night, or over consecutive evenings. Producers have also announced it is going to be a sequel to J.K. Rowling’s books, focusing on Harry Potter’s son, Albus Severus. “While Harry grapples with a past that refuses to stay where it belongs, his youngest son Albus must struggle with the weight of a family legacy he never wanted,” a synopsis reads. Previews will start in June 2016, at the Palace Theatre in London. Early performances will have some cheap tickets on sale for just £10 per part, rising to £15 for the official run. 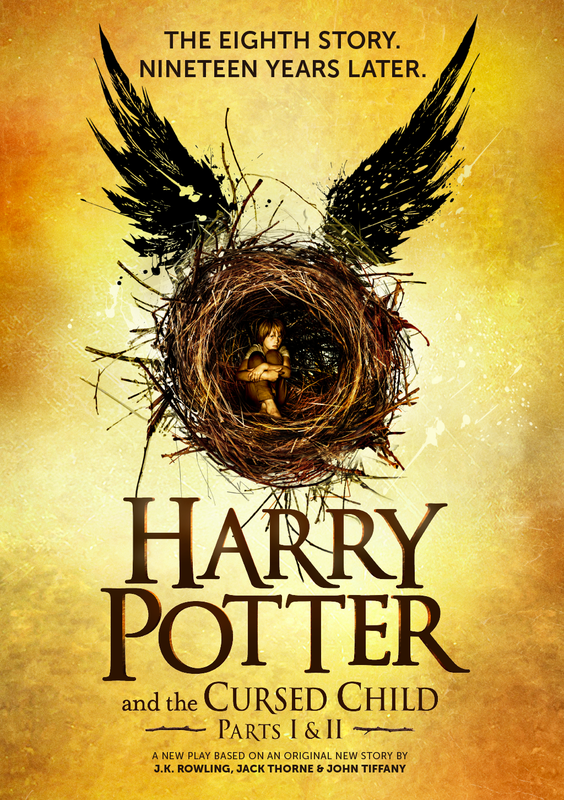 Harry Potter fans have suggested the nest and wings in the picture are reminiscent of a Golden Snitch, the smallest ball used in a game of Quidditch. The final Harry Potter book ends with an epilogue – set 19 years after the main plot concludes – featuring Harry and his now-wife Ginny seeing their son off to Hogwarts School of Witchcraft and Wizardry. Previously J.K. Rowling has refused to give away many details about the plot of the play, saying she did not “want to say too much more, because I don’t want to spoil what I know will be a real treat for fans”. A new Harry Potter movie starring Eddie Redmayne – Fantastic Beasts and Where to Find Them – based on a screenplay written by J.K. Rowling, is expected in 2016. 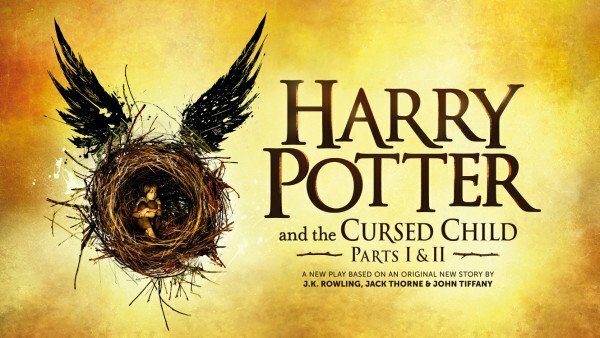 Harry Potter stage play will open in London’s West End in 2016, author J.K. Rowling has announced. 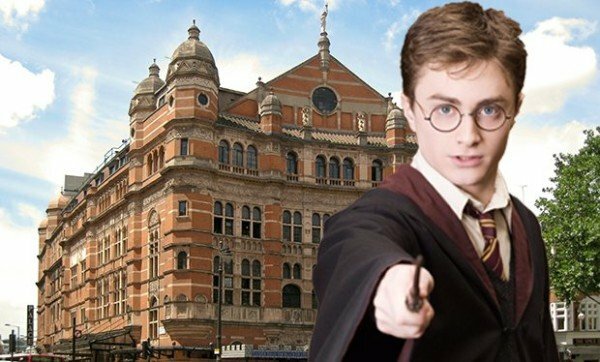 Called Harry Potter and the Cursed Child, the play will tell the “untold part” of Harry Potter’s story, including the story of the lives of his murdered parents. However, J.K. Rowling said on Twitter the play was “not a prequel”. The play will run at the Palace Theatre in the summer of 2016, with tickets on sale this autumn. J.K. Rowling said she chose to make the announcement on June 26 because it was “a very special day” – the 18th anniversary of when her debut book, Harry Potter and the Philosopher’s Stone, was first published in the UK. However, the author was tight-lipped about the plot of the play, saying she did not “want to say too much more, because I don’t want to spoil what I know will be a real treat for fans”. The play was first announced in December 2013, after J.K. Rowling said she had “received countless approaches” over the years “about turning Harry Potter into a theatrical production”. Although the new story has not been written by J.K. Rowling, it is a collaboration between herself and writer Jack Thorne – who previously adapted Let The Right One In for the stage and won a BAFTA for his work on Channel 4’s This is England ’88 – and John Tiffany, who will also direct the play. The play will be produced by Sonia Friedman and Colin Callender, and British singer Imogen Heap will provide the music. Producers originally said the play would explore “the previously untold story of Harry’s early years as an orphan and outcast”. “Featuring some of our favorite characters from the Harry Potter books, this new work will offer a unique insight into the heart and mind of the now legendary young wizard,” they said. J.K. Rowling’s seven Harry Potter best-sellers were adapted into eight blockbuster movies starring Daniel Radcliffe as the boy wizard. She is making her screenwriting debut on Harry Potter spin-off Fantastic Beasts and Where to Find Them, starring Eddie Redmayne, due in cinemas next November.